You may have noticed a few interviews with some of our lovely Natal teachers lately, and this week we talk to Zoe, our MummyNatal and BabyNatal teacher for Birmingham (South West), who provides our fantastic Natal classes in her local area through her company Bumps to Bubbas . Zoe joined The Natal family in 2014 and has been a fantastic advocate of our brand, our ethos and our programmes ever since – in fact, we were very pleased to see her being nominated our ‘Teacher of the month’ a few times! At home, Zoe is a wife and a busy mummy to two adorable little boys, and today we talk to Zoe about her MummyNatal training and the effect it had on her life, both from a professional and from a personal point of view. Q.: “Did you have any ‘lightbulb moments’? Zoe: “I did have a couple of ‘lightbulb’ moments where I was able to reflect on my own experiences and discover why I felt a particular way and what I could do going forward. This made me more aware of how I felt and how I would deliver content in classes to make sure that the way I teach is as ‘judgement-free’ as possible. In particular, I remember the time when we were reflecting on how birth stories that we are being told by other people can impact our own thoughts and experiences. Thinking about it, I found some parallels between a birth story I had been told before having children and the birth of my first child. This made me think about how I re-told and viewed my own story, and it was a really interesting personal revelation! I have used the reflection process in other areas of my life as well, and this has been really invaluable for me”. Q.: “That’s great Zoe! Sometimes we don’t realise that the way we internalise our own experiences and recount them is heavily influenced by previous experiences, fear, biases and beliefs, and indeed things we have heard from others. It’s great to be able to become aware of that, especially as a teacher, as this awareness can really shape the way you teach. 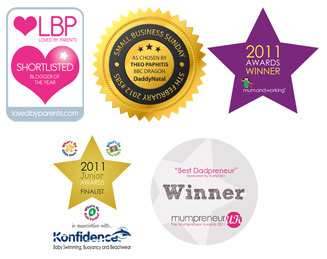 Would you like to share any particular, memorable moments from teaching your MummyNatal classes? Zoe: “Well, yes, another highlight for me was receiving the first birth story from one of the mums at my classes! This particular lady had her baby prematurely and very unexpectedly, but she said that although she didn’t have the birth that she had originally been planning, she found that the breathing techniques she had learnt in our MummyNatal classes really helped her with the contractions and early labour. Zoe: “Well, that’s exactly it – the main benefit of MummyNatal is that it’s ‘non-prescriptive’. We don’t tell mums what the ‘right’ or ‘wrong’ way to birth their baby is, because there is no right or wrong! We recognise that everyone is different, and different things will work for different people. It is YOUR birth and YOUR baby, and our classes allow mums to explore what feels right for them and know that they can use any of the techniques in any type of birth or situation. That’s why it isn’t just for first time mums, as many second or subsequent time mums can either learn something new or reflect on their previous birth experiences and use MummyNatal to help them in their future births, through either making changes and trying something new or reflecting on what worked well for them previously and perhaps focusing on practicing those techniques again. Q.: “So what would you say to someone who is considering training to teach MummyNatal classes? Zoe: “MummyNatal had a HUGE impact on my second pregnancy and birth. I was running classes the whole way through my pregnancy, and although I was delivering the sessions to other mums, I was still able to use the music, the breathing and the birth ball movements to be able to relax and bond with my own baby, which was fantastic. I used the techniques we use in classes to allow myself to be in tune with my own body and notice where I used to hold any tension, so that I was able to release it. The birth ball exercises were great for my third trimester to ease those pregnancy niggles and move into positions to allow me to be more comfortable. The birth education sections and my own MummyNatal training had really helped me to open my eyes to the choices that a pregnant lady has and that I feel were denied to me and my family the first time round, through not being given all the information to make an informed choice. With our second baby, my husband and I were able to make decisions that suited us in during the pregnancy and for the birth. Before my MummyNatal days I wouldn’t have been so confident at asking for what we wanted. While my birth didn’t go the way I would have preferred (I needed an emergency C-section), I was still able to use my MummyNatal breathing techniques to remain calm, which then enabled my baby’s heartbeat to stabilise. Once in theatre we could still benefit from the choices we had made about delayed cord clamping and skin-to-skin, which my wonderful husband made sure happened, as it was so important to me. There is always more to learn and reflect on with MummyNatal, and I’m sure if I went on to have more babies I would find even more to use for the tools and techniques I learnt through my training! Thank you Zoe, it was a pleasure talking to you, and congratulations on your beautiful family! If you would like to know more about training with The Natal Family or about the programmes we offer, you can contact Steph on training@babynatal.co.uk. This entry was posted in Uncategorized and tagged antenatal classes, antenatal teacher training, BabyNatal, birth, birth ball, birth environment, birth plan, birth story, delayed cord clamping, mindful birth, mindful birthing, mindfully birthing, mindfulness, mummynatal, positive birth, pregnancy, pregnancy experience, pregnant, The Natal Family by Steph. Bookmark the permalink.